NSS has given its Townsville capacity a lift with the addition of an LHM550 Liebherr mobile harbour crane. The 440-tonne behemoth was relocated from NSS’s Gladstone operations onboard the AAL Newcastle. 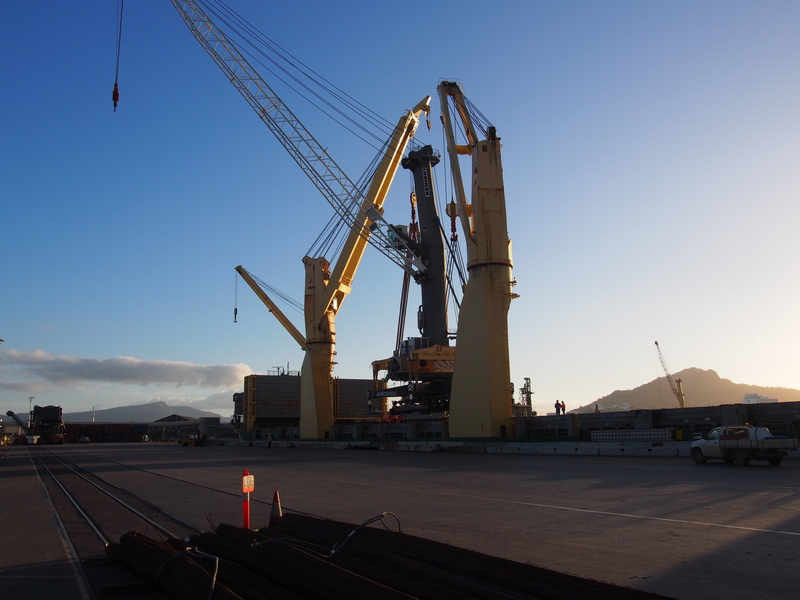 The LHM550 is one of the largest mobile harbour cranes in Australia and is well suited to the diverse range of cargoes that NSS handles in Townsville. It has a heavy lift capacity of up to 144 tonnes. “The LHM550 raises the bar in terms of heaviest lift capacity of a single harbour crane in Townsville,” NSS general manager David King said. The two would be capable of lifting up to 200 tonnes in tandem configuration, he said. Container traffic is growing at Port of Townsville, with a 68 per cent increase recorded in the six months to January. The LHM550 will be used in Townsville to assist with that increased trade, and allow NSS to work multiple vessels on the combined quay line of berths 3 and 4 using multiple shore cranes for increased productivity. “In conjunction with our existing shore cranes (LHM420 and Portainer Crane), the LHM550 will ensure increased efficiencies are delivered to our customers,” Mr King said.